The last few days have been crazy! We've had multiple programs, parties and work situations. Plus, company and getting ready for Christmas! I am sure it's been just like other people's holiday season. I have really enjoyed the 25 Books of Christmas because it causes us to stop focusing on the craziness and slow down to spend an extra few minutes together. 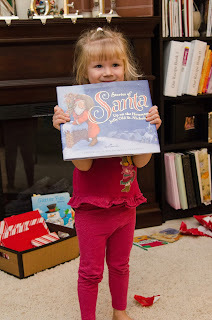 Book 11 - Stories of Santa a Hallmark book. This was an interesting story. It has two familiar Santa songs. Unfortunately it starts with the sheet music so I sang the song with Big Sister. Then I turned the page and it goes through the story again. Kind of repetitive - not in a good way. Overall, I liked the songs written out in story form and illustrated. I'll know for next time so when we read it I'll be prepared! Book 12 - We did a book and a movie tonight after doing a special Hot Chocolate Bar (more about that in a later post) on top of that I left early (my husband took these pictures - thanks, sweetie!) to celebrate a friends birthday. So, it may have been too much to read The Christmas Tree that Grew a Little Golden Book, which is longer-than-usual with lots and lots of words! From what I heard, Big Sister was twirling around on the couch by about the second page so they stopped reading. Book 13 - This is a very cute book about Mickey Mouse and his friends getting lost after a plane ride and end up helping Santa with some last minute gift making. Santa's Helpers illustrated by The Alvin White Studio was fun story that we will enjoy for many years. We are partial to Mickey, though!! Book 14 - These pictures were taken by my mom (thanks, Nana!) since she generously offered to watch our kiddos while my husband and I went Christmas gift shopping and for a date night. It was a great night. As for the book, she said things went smoothly. 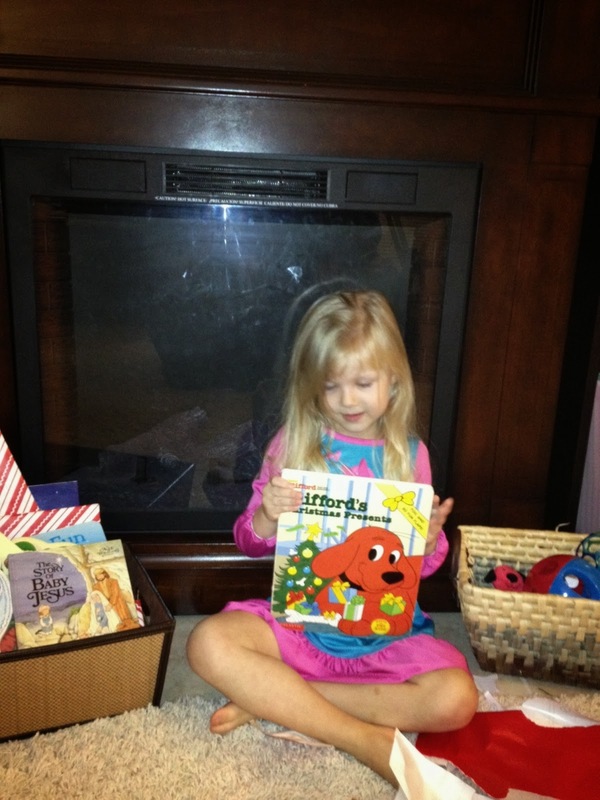 Actually, Big Sister insisted on opening a book. It's nice when a tradition is established and the family really wants to participate in it to the point where they "insist" on it! Clifford's Christmas Presents published by Scholastic Inc is very interactive with multiple little flaps to open on each page. 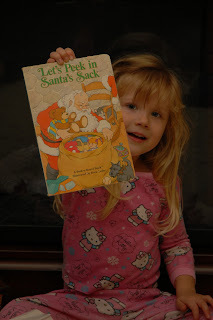 Book 15 - We love Corduroy books and Corduroy's Christmas Surprise was no exception! It goes through Corduroy writing a wish list for Santa then revising it to ask Santa to give each of those gifts to his friends. 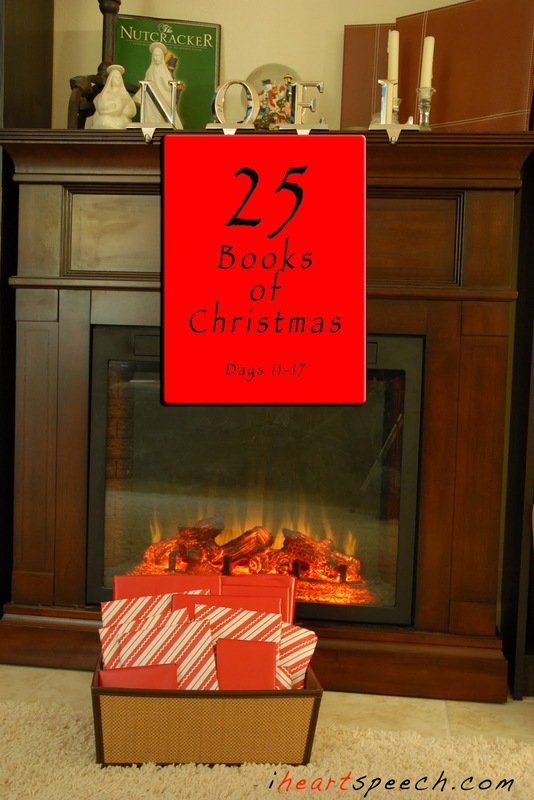 On Christmas morning each of his friends get just what he had hoped for them and surprise! he gets some treasures too - even though he didn't ask Santa for anything for himself. My favorite thing about this story was the next day Big Sister showed me a note she had "written" and told me it was a letter for Santa. 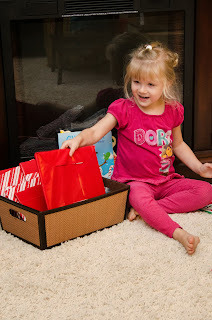 She described all of the things she asked for and her note was very similar to Corduroy's second in that it had gift ideas for everyone in our family. It was SO sweet! Book 16 - Well, back on book 8, I indicated that that book was from her teacher last year. Imagine my surprise when I read a hand written note to my daughter from her teachers last year in the front cover of tonight's book! I guess my sentimental feelings towards that other book were misplaced! Ha! This book, All About Jesus illustrated by Ron Kauffman, starts with Jesus' birth but tells two more stories about Jesus. I like that it doesn't just focus on the baby Jesus but tells about Jesus' ministry to children and sinners. It's a good reminder about the real meaning of Jesus' birth. 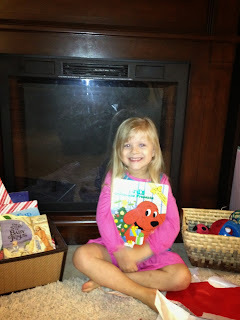 Book 17 - Oh, we had so much fun tonight! After a good bout of tickle-monster with both kiddos we opened Let's Peek in Santa's Sack illustrated by Dora Leder. Each page has a little hole that gives you a peek as to what is on the next page. It's very cute and pretty simple. I hope that as you do the 25 Books of Christmas, that you can enjoy slowing down and spending special time with your child, too!